Your chance to win a Lyk Prepaid Mastercard preloaded with £1000. One prize to be won daily over 25 days. Enter at a Thomas Cook store. Entry is not free. To enter, purchase foreign currency (notes or on a Lyk Prepaid Mastercard). Buy back transactions are excluded. For each £1 spent, you’ll receive 1 entry to that day’s prize draw. A winner will be selected randomly and will be notified the next day (except when the draw falls on a weekend or bank holiday, when the winner will be notified on the next working day). Open to all UK residents aged 18 years and over. Opening date for entries is 9.00am on 29/03/19 and closing date for entries is 5.30pm on 22/04/19. Multiple entries per person allowed. Full terms and conditions can be read https://thomascookmoney.com/terms-and-conditions/1000-draw-offer-terms/. 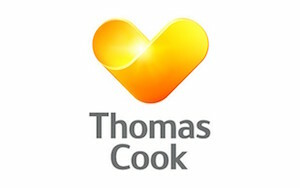 Promoted by TCCT Retail Limited trading as Thomas Cook.